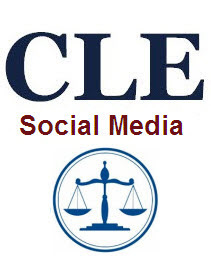 Pennsylvania Association for Justice is offering a NEW CLE Seminar on Social Media & Its Impact to your Practice on April 26 in Philadelphia. The use of social media by your clients and how it affects your case, the use of it by you in your practice and the use of it by potential jurors are some of the biggest issues facing you today. The law is developing. Attend this highly relevant program to learn the pertinent issues, including the ethical implications regarding methods used to access information discovery on social networks about defendants and potential witnesses. You will also learn Social Media Tools and Strategies for law firms. This is really a great help to every social media marketer, not just in the horizon of Pennsylvania but worldwide. So really hoping to read some more informative post as this one too. Experience to buy facebook fans from www.fanbullet.com can be a result oriented output for the small organizations, which are planning to achieve a successful establishment in the market. However, they can also buy facebook likes as an initial source of online business promotion. I have to admit that I have never heard about this information I have noticed many new facts for me. Absolutely with you it agrees. In it something is also to me your idea is pleasant. I suggest taking out for the general discussion. I would like to thank you for the great and informative entry. I just wanted to leave a quick comment to say that your blog was nice. I found it on Google search after going through a lot of other information that was not really relevant. In it something is also to me your idea is pleasant. Google plus is shaking up the social market now in competition with facebook. i beleive they did this not only because of the ad revenue, but also because there has been in increase in people using facebook for search. Enough so that google stepped in.